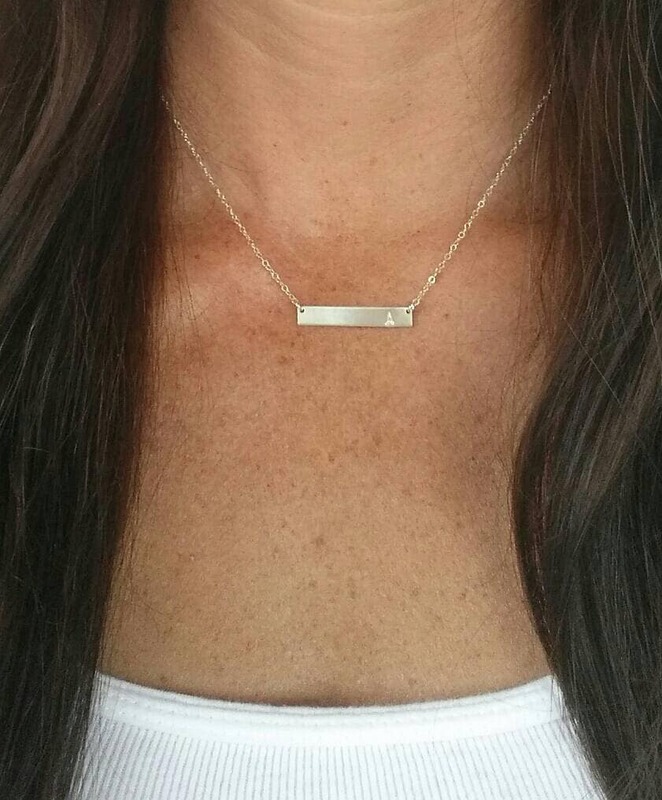 Material and length Gold Filled 15" Gold Filled 16" Gold Filled 17" Gold Filled 18" Gold Filled 19" Gold Filled 20" Sterling Silver 15" Sterling Silver 16" Sterling Silver 17" Sterling Silver 18" Sterling Silver 19" Sterling Silver 20"
Our small and simple, elegant monogram necklace. 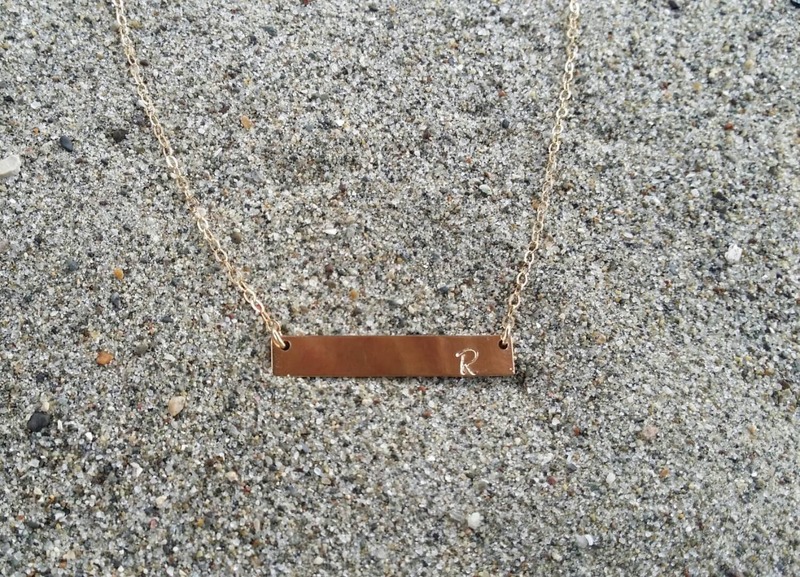 The gold fill bar is monogrammed with your initial in either Bridgette script or Ariel font. 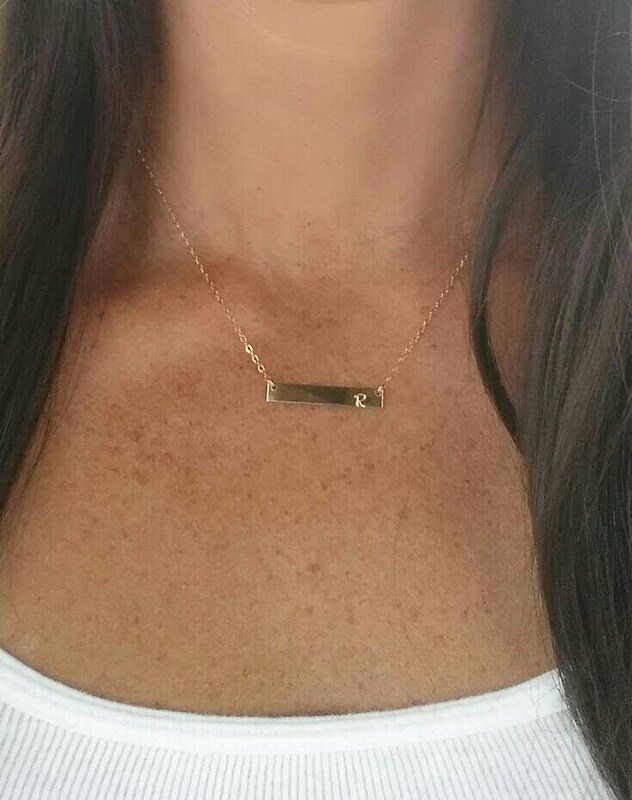 The bar is 1 1/4 inch long by 1/5 inch wide and hangs delicately from a gold fill chain. 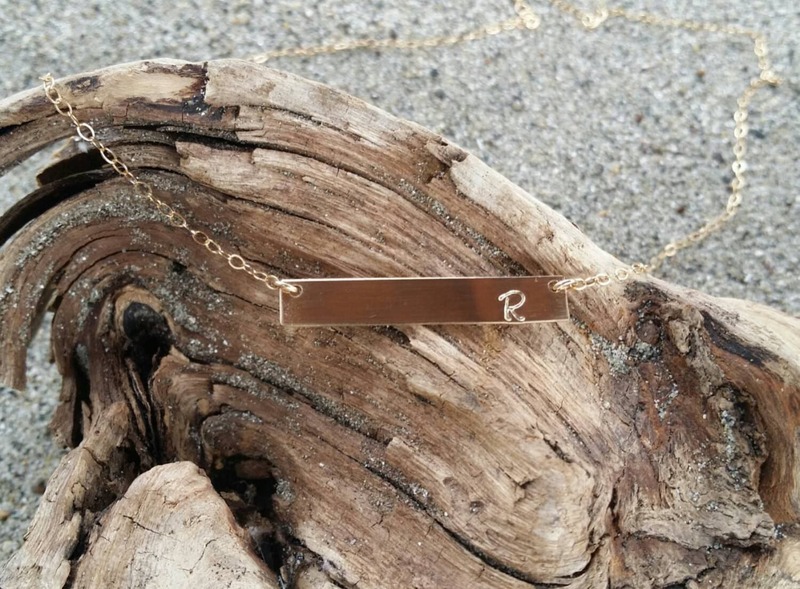 Shown here in gold filled with a Bridgette Font R in 17" length and in Sterling Silver with an Ariel A, also in 17 length. 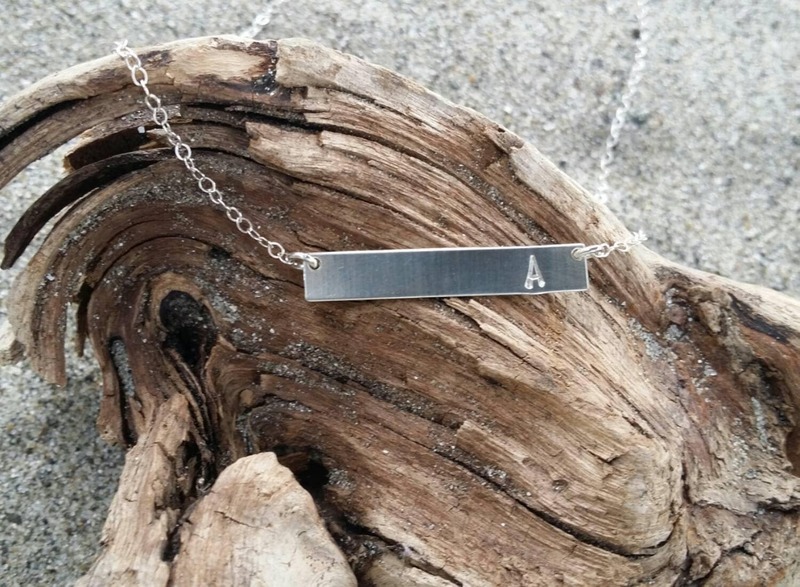 Also available in sterling silver with a sterling silver chain as seen in last photo. All items are gift wrapped and shipped without an invoice unless otherwise requested. Please let me know if you would like me to enclose a small card with a message and I will happily do so free of charge! All jewelry is handmade and I guarantee the workmanship and quality of all my products for one year. I use high quality stones and sterling silver or gold filled wire and chain. I guarantee against any tarnishing or breakage for one year. However, if you should encounter such problems within the one year timeframe, I will gladly replace or repair your item free of charge. Please see my terms and conditions for information on how to request a replacement or repair.